It's Christmas Eve. You don't have time to read this. I really don't have time to write this. And yet, here we are. This is an odd Christmas in the Talbot household. First Born and The Fiancé are spending this week in Atlanta, Georgia, where his folks live. It's not the first time she has not been home for Christmas - they spent the holiday in Bora Bora two years ago, where The Boy proposed in an enviously romantic setting on the beach. Funny (but not haha funny) how families scatter these days for various reasons that make it more difficult to be together this time, or really any time, of year. I adore his mom and dad, though. They truly raised their boys right and it shows, so I'm happy for their time together. This is also a healing time, literally, for Second Born, as she underwent a planned surgery last week, just days after arriving home for her college break. It has been a bit of a rough recovery, especially since she has been dealing not only with the pain of recovery, but also the effects of what seems to be an upper G.I. virus... from the hospital. With less than three weeks before she returns to school, you can bet we are taking it easy this Christmas - no skydiving or running marathons. On our first Christmas together - amidst the sting of adapting to married life - our gifts to each other were based on thought more than action. I wrote a song and sang it to him and we both cried because life wasn't anywhere near perfect, but we believed we would get through it. I believe my gift to him was a paper printed out with the promise of karate lessons, and his to me was guitar lessons. Neither came to fruition, but that was all right - we were simply trying to touch on what meant the most to each other, even if we couldn't really afford to make those things happen at the moment. And we hung our star. It was made with tin foil wrapped around a Friskie's Cat Food box top, and it was perfect. This morning I snapped this picture of it as it rests among the branches of our tree, 30 years from its debut. Though it no longer sits atop the tree and shows definite signs of wear, it is good enough to have a place among our other ornaments every year. The coffeemaker is The One that's probably going to get replaced first. There are priorities. 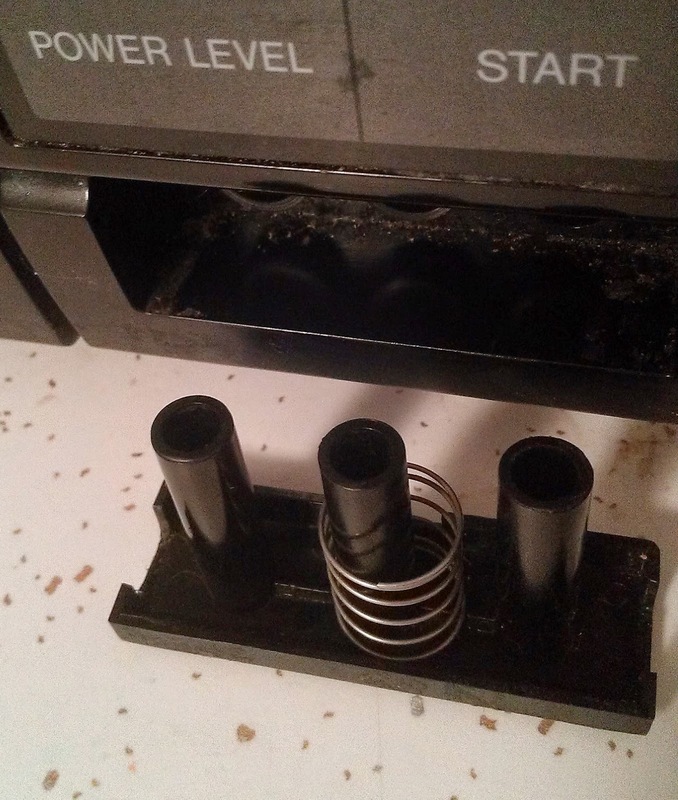 For now we just keep reinserting the stupid microwave button and washing dishes by hand. Good enough. But of all the things that could go wrong, what has gone right is that I have an awesome Spouse who stayed home yesterday to keep an eye on Second Born during her recovery, so I could get some hours in at work and my desk wouldn't explode. What has gone right is that we have had prayers from all over the place for our kid and her healing, and that is always welcome. What has gone right is that First Born and The Fiancé made it safely to their destination last night, and they were also fortunate to have a cousin insane enough to drive two hours - each way - to pick up their kitten and babysit her for the week. What has gone right is that my sister and I continue the tradition of finding the most warped card to send each other every Christmas season. What has gone right is that I still feel blessed, even with the stress, the worry, the appliance revolt, the exhaustion of this past week. We may not have the perfect Christmas, if there even is such a thing. 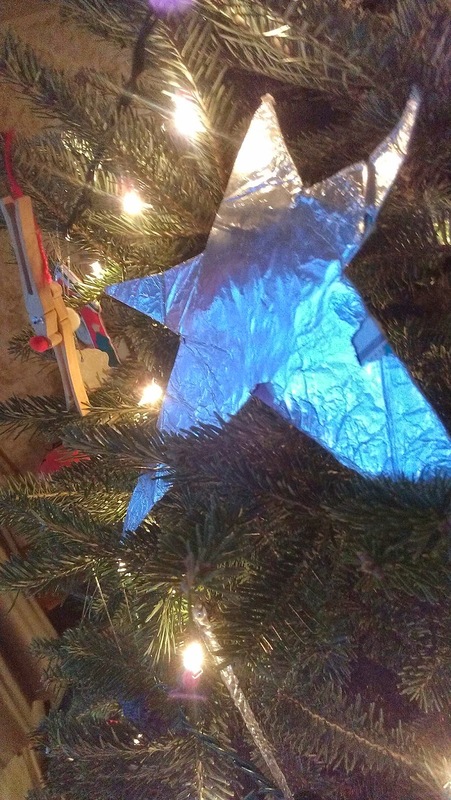 But I look at our tin foil star and I realize just how much we have gotten through, bruises and all. We may not always feel like we're going to make it one more day (or one more cup of coffee), but so far we have. We are, as a family, as God's children, good enough. Merry Christmas to all, and to all.... a good enough. Elegant and astute. More than "good enough!" Merry Christmas, Janine! Thank you so much, Barb - have a wonderful Christmas!